In 2003, Vito Jr. came to Houston to attend University of Houston. As soon as he arrived, he realized his appetite for Philly food would be severely hampered. 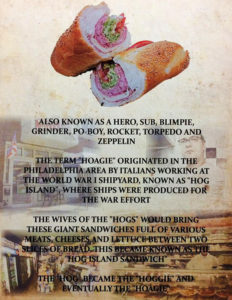 He searched for seven years for an adequate pizza, cheesesteak or hoagie only to be disappointed time after time. Being a marketing major, Vito knew there was a need for authentic Philly food due to the large number of northeastern transplants in the Houston area. 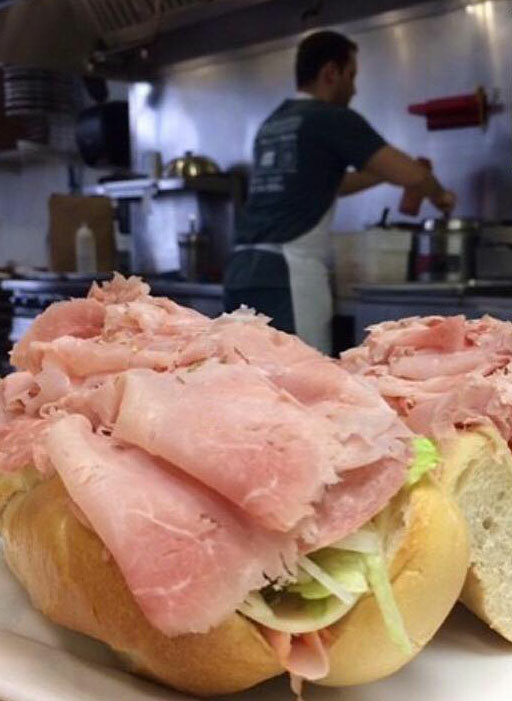 He finally convinced his dad to leave Philadelphia and open Vito’s Famous. 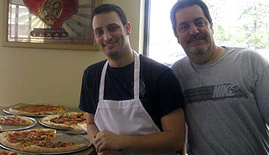 In August of 2009, Vito Sr, along with his wife Lisa Marie and son Vince moved to Spring and Vito’s famous was opened in March, 2010. 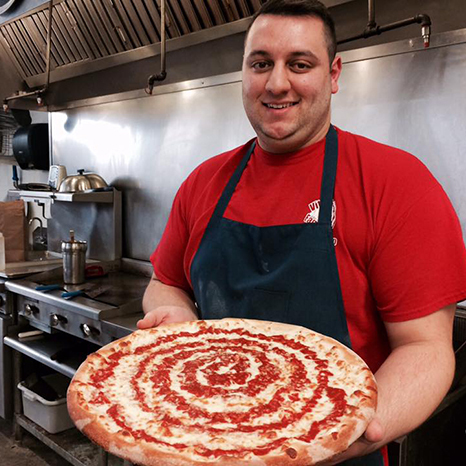 Vito’s Famous is a family owned and operated, authentic Philadelphia Eatery. 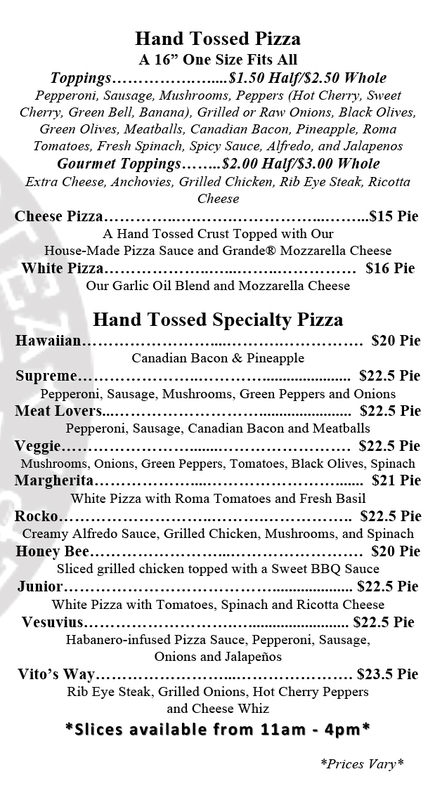 We specialize in homemade thin crust pizza, cheesesteaks and hoagies all on Italian rolls imported from Philly.